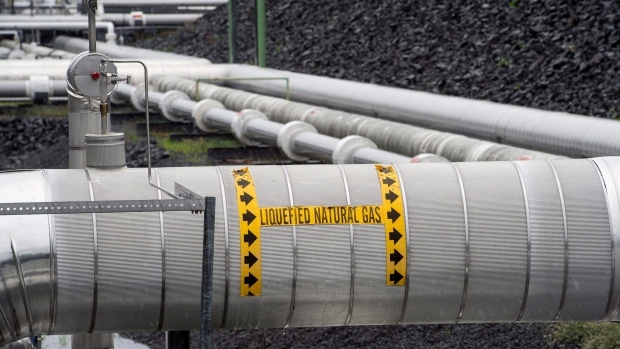 Pieridae Energy Ltd, the company behind a proposed liquefied natural gas terminal on Canada's east coast, is looking to buy producing assets in western Canada or in the Marcellus shale play in the United States, its chief executive said on Monday. "What we really want is a resource with potential to grow into rather than producing right now," Sorensen said. "Pieridae's plan from the beginning was to be a fully integrated LNG facility owning the upstream as well as the terminal." Pieridae expects to make a final investment decision on the Goldboro terminal later this year, and currently estimates the project will cost around US$7.3 billion. German utility Uniper has already committed to buying production from the first of two proposed LNG facilities at Goldboro, which will each produce 5 million metric tonnes a year, and owns a one per cent stake in the terminal, Sorensen said. There are more than a dozen proposed Canadian LNG terminals, but only the relatively small Woodfibre LNG project in Squamish, British Columbia, has received the final go-ahead, delaying Canada's entry into the global market. Others, including a $36 billion project by Malaysia's state-owned oil company, Petronas, have stalled on concerns about weak energy prices and global oversupply of LNG. "We are trying to solve how to get gas supply for the terminal and opportunities to finance," Sorensen said, adding that being a listed company would improve its chances of accessing capital to fund growth.